CEO of Northern Cape Tourism Authority Sharron Lewis, Lynn Whitfield, Bronwyn Thomas (acting chief of staff Premier's office) and Sol Plaatje Municipality's executive director Nomonde Kesiamang. Leading Hollywood actress Lynn Whitfield has been impressed with her excursion to the Kimberley Big Hole Mine Museum. And, if this is what the Northern Cape has to offer, she will be back for more: “Oh yes, there is so much more to see that I do not know about. I would love to come back to the Northern Cape,” beamed Whitfield in her midday parting shot in her interview with NCNN.Live on the platform of the Kimberley train station on Monday, 10 December. Earlier, just after 09:00 am, the luxurious and iconic Blue Train, had steamed into the diamond city with hordes of its usual discerning tourists, powerful personalities and an unusual package. Something to cheer about on the first count; the train’s Kimberley stopover time has been extended with 2-hours from an hour and the day marked its maiden voyage in unveiling its new itinerary. Added to the extra-time for those aboard was the opulent in an up close and personal feel of Rolls Royce (RRs) SUV, the Cullinan. The veil got lifted and we shall return to that part. “It was a wonderful tour. I found interesting facts that Kimberley was the first with so many things – street lights, washing machines, toilets, drive-thru bars and all of that. Unfortunately, part of it made me really sad when I saw what a hard life it was, when you realise how few people received wealth from it,” asserted Whitfield in reference to Kimberley’s early mining history displayed through mine museum. “As an African-American person, when I look at it, taking history and culture and as an actress I can foot myself and ask what it must have had felt like?,” she probed, having been confronted with the reality of one of the world’s biggest man-made holes that birthed South Africa’s racialized wealth ownership that was enforced through the exploitation of its natives. With her penchant for producing and in being eager to delve into directing, the multi-talented award winning movie star might consider Kimberley for a future production. And, that will be all thanks to the Blue Train for having exposed Whitfield to the city’s history and for having extended the stopover. “It is the first time that I have been to this museum and I am in love with it. It just shows we can do it on an international level and it has made me a very proud person,” enthused trip-coordinator Colleen Vilela who also cited the Pretoria-Cape Town route with a Kimberley stopover as her personal favourite. 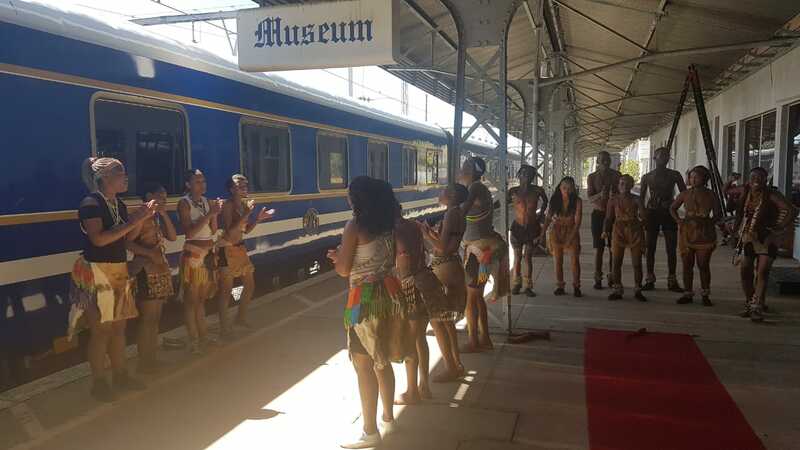 The Northern Cape Tourism Authority (NCTA) added cultural entertainment to the day’s activities from the arrival point to the tourist attraction in ensuring that the train’s extended three-hours translates into a memorable tourism experience that would result in a return of the guests. And, herewith a reminder of Whitfield’s spoken word; “I would love to come back,” which amplified it all. 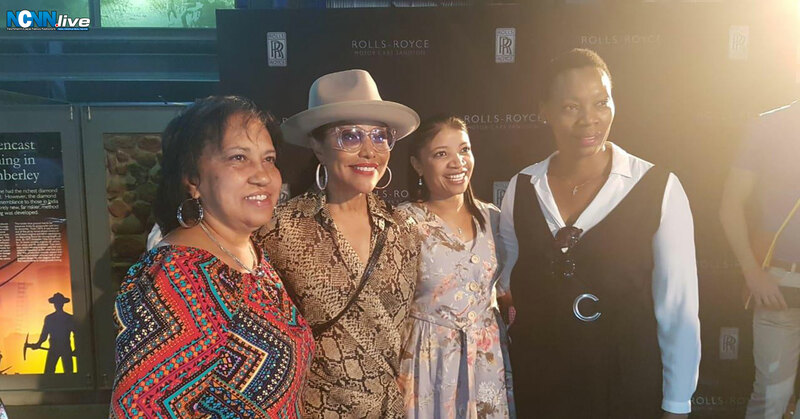 CEO of Northern Cape Tourism Authority Sharron Lewis, Lynn Whitfield, Bronwyn Thomas (acting chief of staff Premier’s office) and Sol Plaatje Municipality’s executive director Nomonde Kesiamang. 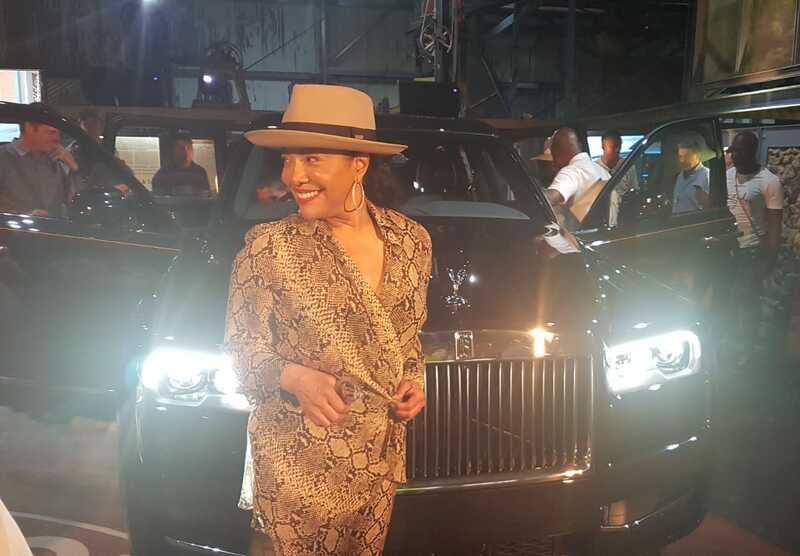 International movie star Lynn Whitfield adding Hollywood glamour to the unveiling of the Rolls-Royce’s flagship SUV; Cullinan. 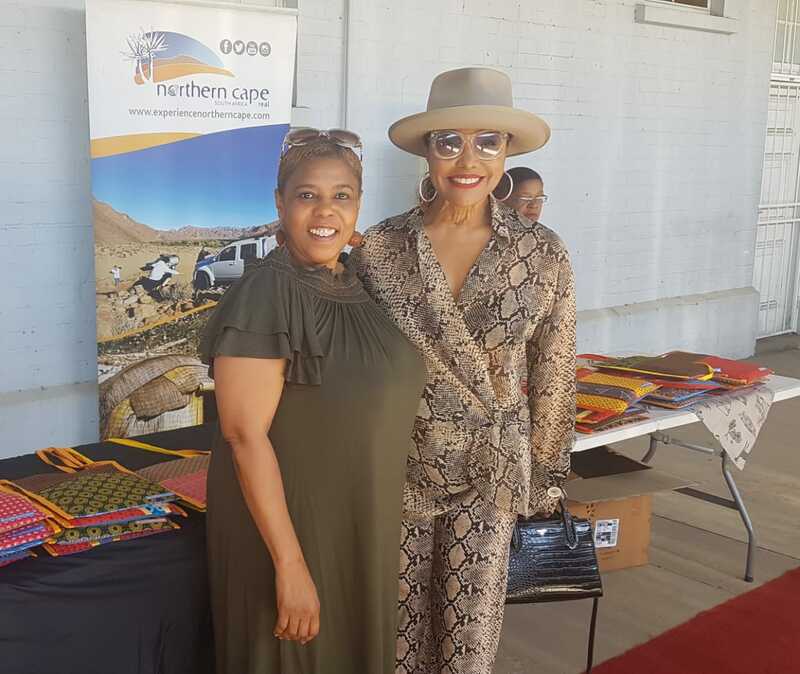 Northern Cape Department of Economic Development and Tourism’s Jean Wilson with Lynn Whitfield. Young Batswana cultural dances receiving guests with song and dance.